As experienced divorce attorneys, we’ve heard every reason partners use when choosing to split up. And while we appreciate your business, what we’d really like is to see people be happy and stay married. We’ve found that one of the keys to any successful relationship is good communication between partners. It’s even more important when you’re considering starting a new life with someone. Family life. The desire to start a family together is a primary reason people consider marriage. Whether or not to have children at all can become a marriage-ending issue quickly, so this is an issue that you should be sure to address before tying the knot. If you do agree to have children, you should discuss the practicalities. If you both have jobs, it’s necessary to determine if one will stay home with the child or if you’ll pursue a daycare or nanny situation. You may want to discuss relying on family or friends for babysitting support. And knowing how many children your partner wants is helpful. You don’t necessarily have to have definite answers, but opening up the discussion early can help keep things smooth down the road. Finances. Money issues can sink a romance fast, so the topic of existing debt should be discussed. While it’s not always a bad thing to carry debt, knowing whether or not your partner will be financially responsible can affect your future finances together. If you or your partner has debt, you should discuss a plan for paying it off. Even if you’re not proud of how you acquired the debt, being honest about it and devising a payoff plan will be helpful in creating a successful union. You should also talk about bank accounts and how the bills will get paid. Many couples have shared bank accounts, but not everyone chooses to approach money the same way. Some couples choose to keep both a shared account and individual accounts, and others choose to keep finances entirely separate. Whichever direction the two of you take, work out how you’re going to share the costs of everyday living together to avoid resentment in the future. Living arrangements. It’s important to discuss where the two of you will live after you’re married. This might mean one partner must sell a home or give up a beloved apartment. You will need space that accommodates both of your belongings, and merging households can be stressful. Also, if one partner is moving into the home of the other partner, consider whether the home should be refinanced to add the other partner to the mortgage or the new name added to the deed or title. Taboos. Discuss “deal breakers” that you feel would definitely end the marriage. You may want to talk about infidelity, lying, financial secrets, or other topics that would make for an unhappy marital environment. Whatever your expectations for married life, it’s helpful to make them known up front. You may also want to take the time to think about how marriage will affect your estate plan. 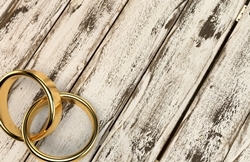 Marriage is an event that should always trigger a review of your plan, so be sure to consider how your new partner (and any children) will fit into your will and trust arrangements. There are many topics you can discuss before getting married, but the key is to have an open mind and an honest heart when it comes to marriage. You can even share this article with your partner or friends via social media, and get the conversation started early. Talk with and listen to your partner, and take the time to understand your partner’s perspectives before you decide to marry. Your chances of a long and happy future together can only get brighter. If you’d like to talk to a divorce and family law attorney about your situation, the Law Offices of Molly B. Kenny will bring decades of divorce and family law experience to your side and help you through the process every step of the way. To arrange a private consultation in our Bellevue offices, please call us at (425) 460-0550.